Growing and harvesting watermelon is a wonderful summer tradition on our backyard homestead. But picking a truly perfect melon can be tricky. 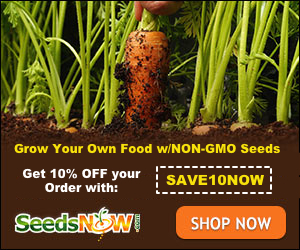 If you harvest too early you’ll have a tasteless melon that will probably be chicken food and fodder. Or harvest too late and it may crack on the vine, or be a mushy mess on your plate. But fear not! 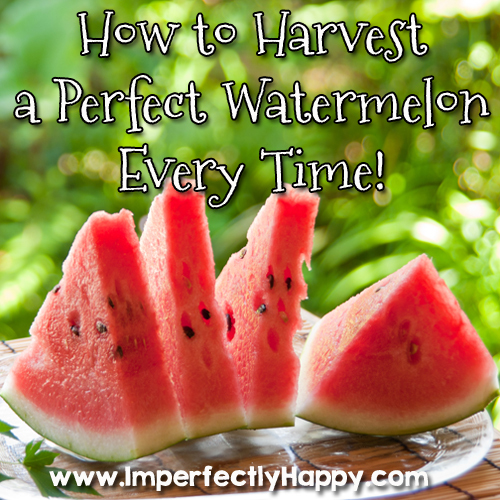 I have some simple tips that will have you harvesting watermelon perfectly every time! And if picking a perfect melon were not enough, I’ve included some yummy recipes for you to use up your delish watermelon. First things first – know your variety. If you’re growing a Sugar Baby, it is going to take less time to reach maturity than your Georgia Rattlesnake. So make sure you know the average growth time for your particular melon. Check your vines. The tendrils on the vine will change from a green to brown when the watermelon is ready. This is not the vine itself but the little “pigtails” on the vine. Next, give that baby a little thump with the palm of your hand. It should make a hollow sound. Not all ripe watermelons will, but it is a strong indicator of readiness. Pick ‘er up. Look at the underside of the watermelon. You’ll want to look for a nice yellow belly before harvesting your watermelon. Treat those melons with care so you don’t bruise the fruit during its growth. But following these simple tips you should be a harvesting watermelon ninja!